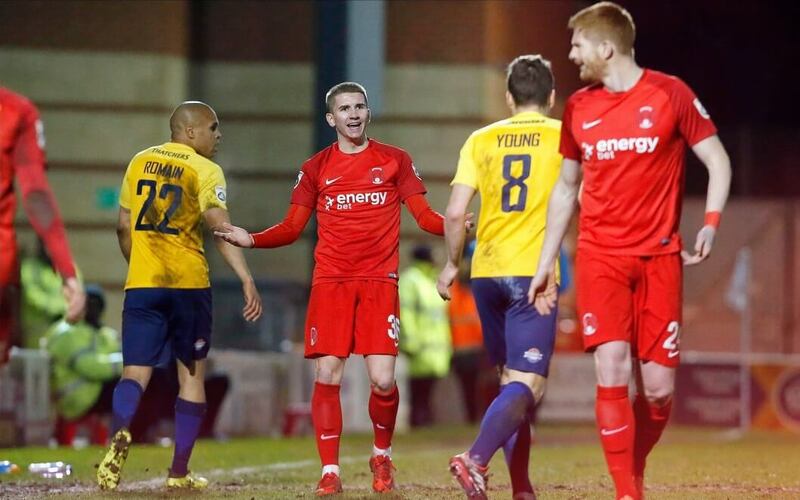 Leyton Orient’s home woes continued as they were beaten by a goal to nil by relegation probables Torquay United at a maudlin Brisbane Road. An attendance of exactly 2,900 saw the O’s falter once again on home turf as the men from Devon took the long trip home down the M4 motorway with 3 points in the bag and renewed hope in beating the drop from the National League as a 37th minute goal from Elliott Romain was enough to seal victory for the seaside club. The 2018 home voodoo which has yet to see a National League victory in the Brisbane Road stadium for the O’s puts added pressure on a team that had they won tonight would have almost ensured staying in the National League for next season. Instead Leyton Orient will have to keep looking over their shoulder as Solihull Moors picked up a valuable away point in a 2-2 draw away at Gateshead up in the north east. Meanwhile Halifax Town’s who started the day below the O’s picked up a 2-1 home win over Dagenham & Redbridge which sees the east London side (Orient not Dagenham) drop a place to 16th as the Yorkshire team move up the table. For Torquay this success over the O’s was a vital win for the South West club as it means they are only now 6 points away from safety and this win should give them an injection of hope as we head towards the Easter program in a couple of weeks time. 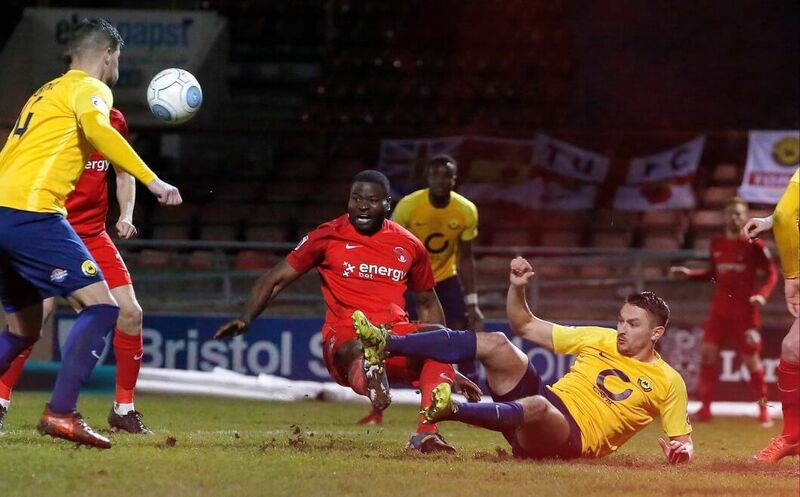 Manager Gary Owers’ frustration with Torquay United’s failure to help their own National League relegation cause in recent weeks had been softened by the fact that most of their rivals keep losing too. The Gulls took their increasingly desperate fight to Leyton Orient having lost no further ground on a safety place. This was despite suffering three successive defeats so to wrap up 3 points away from home against an Orient team that will be kicking themselves with this result was a major surprise for the visitors. The home team started brightly enough as Orient had the first major chance of the game as early as the fifth minute as George Elokobi rose to meet a free kick but his header was comfortably saved by Vincent Dorel. Brett Williams and Romain were looking the biggest threat for the visitors and Orient were given a scare when the latter hit the post but the flag was up for offside. However, It was the same attacking duo who combined to put United ahead, Williams doing well to lose his man in the box and crossing for Romain to head home. Down by the single goal at half time the home side came out for the second period firing on all cylinders and Elokobi came close to an equaliser soon after the break when he rose to meet Lamar Reynolds’ corner but his effort was saved by Dorel between the sticks for Torquay United. Orient Substitute Matt Harrold headed wide for the O’s as they applied some pressure in the second half but somehow Orient could not find the back of the opposition net to see their jinx continue as they failed to win once more on home soil. As the seconds ticked down it looked as though David Mooney would score for the O’s, however his effort hit the post in stoppage-time and moments later referee Alan Dale blew his whistle for the conclusion of a rare win for the Devon side home or away and another home game for the O’s where they failed to win at Brisbane Road. There were yellow cards for Adams for the home team while the referee also found time to ensure both Sokolik and scorer Romain both picked up bookings for the opposition. It was certainly a deflating night for the home fans and Justin Edinburgh and his side will know they will need more than their wits about them on Saturday when they play Eastleigh.